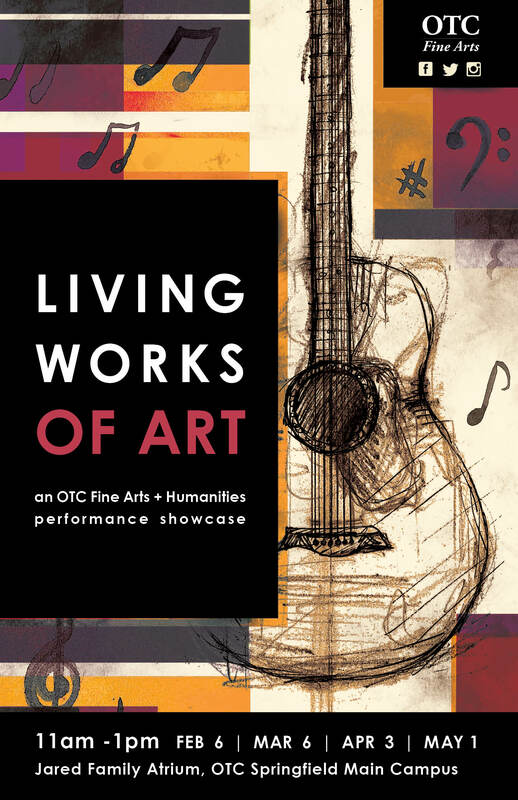 OTC Fine Arts Gallery invites you to attend this semester’s OTC Living Works of Art Showcase. Join us every first Wednesday, February 6, March 6, April 3, and May 1. Performances will run from 11 a.m. – 1 p.m. in the Jared Family Atrium, at OTC Springfield Main Campus. This event promises to be a wonderful celebration of hard-work and creativity to inspire and brighten your week.